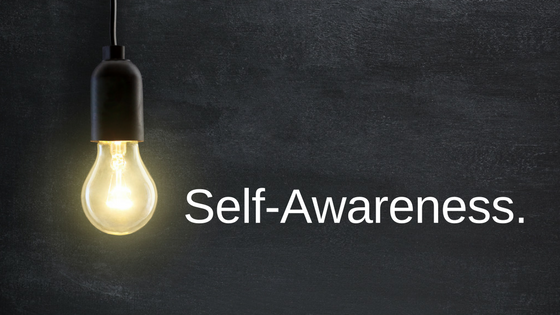 Self-awareness is the first component of Emotional Intelligence and is truly the foundation to great leadership. The irony is, when asked, most leaders report they are “highly self-aware,” yet, are completely surprised by the constructive or even negative feedback from a 360 Report. Thus, the problem. People respond (or react) to your behavior. Your talent (what makes you remarkable) can be misunderstood, devalued, or dismissed as a weakness, therefore, impacting a person’s view of you as a leader. Over time, people begin to form strong perceptions of you (based on your behavior) that influences their response … or reactions. Those perceptions have the power to negatively impact your leadership influence. Your team’s reactions to your behavior has the ability to negatively impact the team’s results. Over time, these less-than-favorable results have the ability to impact your confidence, your engagement, your satisfaction in your work, and, ultimately, your leadership brand. And, because you “believe” you are highly self-aware, you continue to do the same things, getting the same negative results, which is the true measure of a lack of self-awareness. What’s the bottom line? When you lack self-awareness, you may respond to people and situations in a way that creates the very results you don’t want. Know who and what pushes your buttons. It is important to take time to pinpoint those emotional triggers that can cause you to move from joyful to expressively agitated in just a heartbeat. When you can clearly identify these people and situations, it takes their power away because you’re no longer surprised. Instead of “reacting” in those moments, decide in advance how you want to handle yourself and then “respond” accordingly. Take Gallup’s StrengthsFinder 2.0 assessment. Develop a keen understanding of your natural talents and how they play a role in the way you think and feel about things, gravitate towards or away from certain situations or people, as well as what motivates or challenges you to bring your best work. Take Travis Bradberry’s Emotional Intelligence 2.0 Assessment and follow the self-awareness recommendations from your report. Clarify your values – what’s really most important to you. Life Values Inventory was developed to help individuals clarify their values and serve as a blueprint for effective decision-making and optimal functioning. It’s free. Check it out! Define your personal brand. As you are discovering your natural tendencies, part of improving your self-awareness is getting clear about how you would like things to be. How you would like to be perceived. What words or phrases would you like people to use when they are talking about you and you’re not in the room. When your buttons are being pushed, how do you want to respond. What’s the one thing you want to be known or remembered for as a leader? Take the time to clarify these desires and it will help you better understand what you are striving for. Keep a journal. Take time at the end of the day to debrief and explore the various emotions you experienced throughout the day. Take time to answer the 5 Ws (Who, What, When, Where, Why) and look for any patterns or trends. Becoming self-aware is not difficult. It just takes time. It takes a commitment to learning more about yourself and choosing new ways of doing things that are more effective and will, ultimately, help you achieve better results.